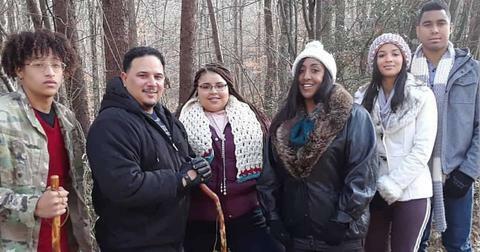 "Our fans can’t get enough of Pedro, Chantel, and their larger-than-life families," president and general manager of TLC, Howard Lee, said in a statement announcing the new spinoff. "For a brand known as the destination for love, relationships, and family shows, The Family Chantel hits the bulls eye." 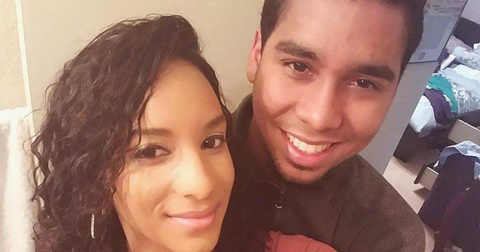 After the news became public, Chantel thanked followers for their kind words on Instagram. "I have been getting so much support from my followers about the announcement of #thefamilychantel and I am so grateful," she wrote. "Initially I was ambivalent about it because my life is not perfect and it is not easy to show my flaws to the world. Thank you to the people who have been sending me support." Just seven months ago, fans thought the duo was headed for a divorce when Chantel shared a surprising quote on her Instagram stories. "Sometimes the hardest part of being a great catch is accepting not everyone’s hands are strong enough to hold you," the text read. The nursing student was also photographed several times without her engagement ring. Some fans were on board with the possibility of a breakup. "You deserve a man who will treat you like a queen," one follower wrote. “You are beautiful you don't need all the stress from your in-laws and a man who does not respect your family." Others were eager to see the pair work things out. "I'm so rooting for Pedro and Chantel," one user commented. "That man loves her, but both of their families keep interfering. Her family keeps putting things in her head, and his family keeps digging into his pockets knowing that they are a young couple just starting out." Another fan added, "I hope for peace and no more fist fights," referring to Pedro’s previous altercations with Chantel’s family.